The US Air Force (USAF) has awarded a follow-on contract to ITT Exelis as part of the ongoing maintenance and repair of the B-1B bomber aircraft’s integrated electronic warfare (EW) system. Under the $7.7m contract, ITT will provide maintenance and repair services for the B-1B bomber aircraft’s integrated defensive avionics system, the ALQ-161A. As the original designers of the B-1B’s EW system ALQ-161A, Exelis Electronic Systems has drawn on decades of experience in repairing and maintaining the system, allowing the B-1B bomber aircraft to operate effectively. Exelis integrated electronic warfare systems business vice president and general manager, Rich Sorelle, said: "This work is critical to sustaining the nation’s strategic capability." The Rockwell International-developed B-1B Bomber is capable of carrying the AGM-86B air launch cruise missile (ALCM) and the AGM-69 short-range attack missile. 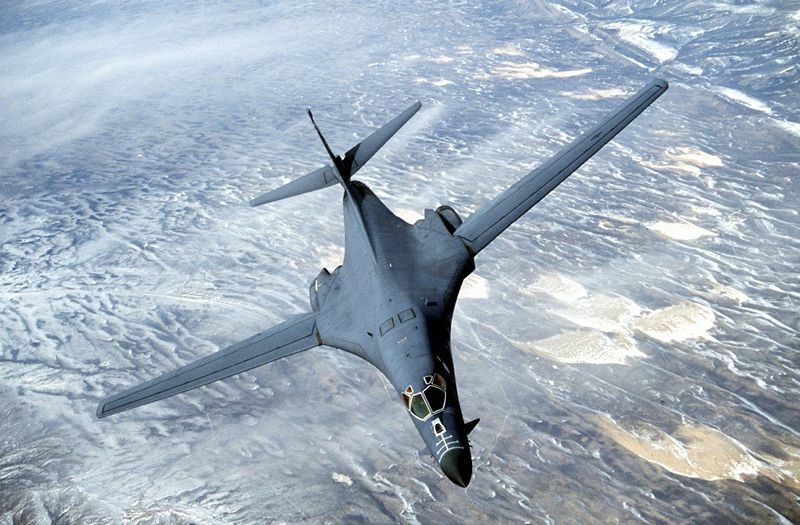 The B-1 Lancer is a long-range and supersonic variable-sweep wing strategic bomber used by the USAF to support US and Nato missions in Iraq and Afghanistan. With a maximum take-off weight of 216,363kg, the aircraft weighs around 86,182kg and can fly at a maximum speed of 1,448km/h with a service ceiling of 9,144m. The USAF currently operates a total of 67 B-1 bombers, which are expected to be in operational service until 2025. Boeing has upgraded the bomber’s avionics software with a fully integrated data link (FIDL) to enhance crew situational awareness and communications capability, under a $45m contract from the USAF in February 2009. The contract has been awarded by USAF Warner Robins Air Logistics Command, in Warner Robins, Georgia, US and the repairs will be led by the Exelis Electronic Systems division in North Amityville, New York, US. Image: The US Air Force’s B-1 Lancer flying with wings swept full forward. Photo: courtesy of Denniss.